Ruijter, M.J, Versteegh, M, & Oosterlee, C.W. (2015). 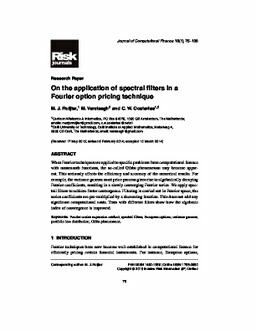 On the application of spectral filters in a Fourier option pricing technique. Journal of Computational Finance, 19(1), 75–106.